PrimeTech will do a screening test that will detect and identify the following mould species giving you accurate results in as little as 5 minutes. 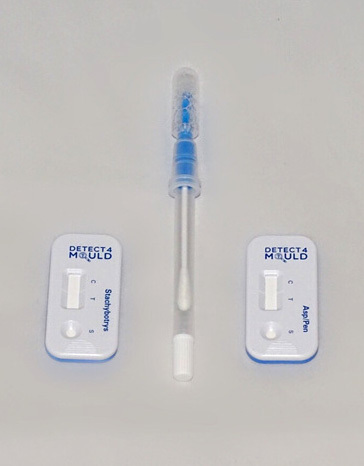 PrimeTech’s Screening Kit is intended for use in the home and office for performing rapid screening of potential mould-containing samples and contains two test cassettes for the identification of mould species linked with poor Indoor Air Quality aspergillus and Penicillium (Asp/Pen) and stachybotrys. Giving you accurate results in as little as 5 minutes. When it comes to determining mould risk, moisture meters are one of the most useful and important tools. Mould spores, which linger on surfaces, can often survive thorough cleaning and drying, and thrive undetected by conventional means. Using moisture meters, however, you can identify pockets of moisture within a surface, which in turn helps you to find where congregations of spores may exist. Knowing where moisture exists in a structure vastly improves your efforts to eliminate mould. Testing a property for methamphetamine is the best way of checking whether a home is clean and safe to occupy. PrimeTech tests properties for people looking to buy, rent or invest in a property. We also test on behalf of property managers and landlords, but it is usually the people who are buying or moving in who want to ensure that a home is free from meth drug residue or has not been used for drug use or manufacture. PrimeTech can give you a quick yes/no answer with our initial test as well as carrying out more extensive tests if necessary. PrimeTech will do an instant screen test and issue a report, or if requested send samples for laboratory testing, to see if your house or investment property is contaminated by either manufacturing or the smoking of methamphetamine . All the tests taken at the time of sampling by PrimeTech meet the current NZ ministry of Health’s guidelines NZS8510:2017 New Zealand health standards for methamphetamine in housing. Grade One: Find out immediately if meth residue is present. This test is for screening testing only. Master Alarms Ltd. T/A PrimeTech cannot be held liable for contamination that was either not identified during our inspection, or for any contamination that has occurred after our screening process. Master Alarms Ltd. t/a PrimeTech uses all reasonable skill and care in carrying out testing to ensure accuracy in the testing process under the current governments Ministry of Health guidelines. Despite this we provide no warranty regarding the detection of all methamphetamine residues at the properties that we test. Due to the nature of methamphetamine testing processes currently in use, PrimeTech cannot give complete assurance that methamphetamine will al-ways be detected, or that testing methods will always deliver 100% accurate results. 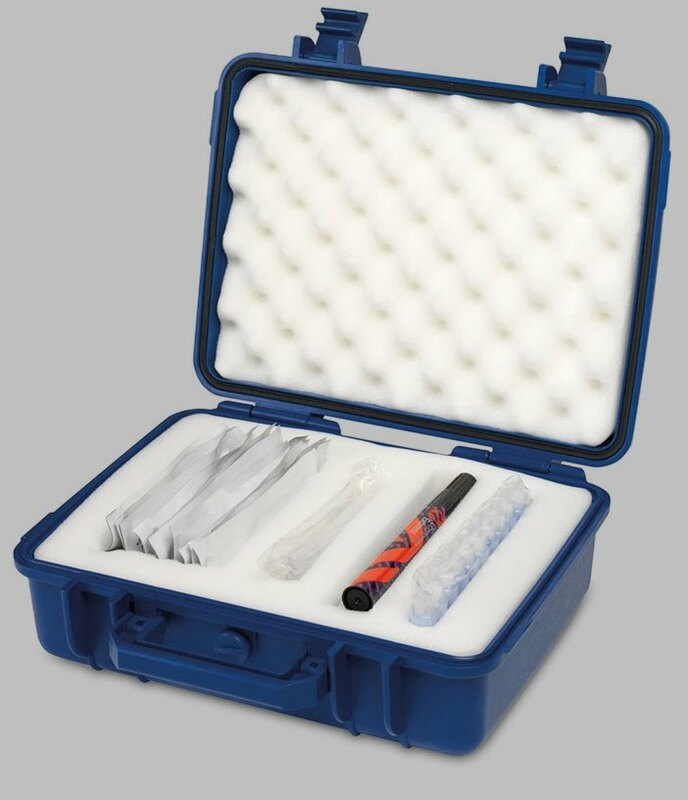 PrimeTech accepts no responsibility for any loss, damage, cost or expense (whether direct or indirect) incurred by clients in acting in reliance upon any of the result(s) of our meth detection sampling of property testing products. *Based on the guidelines for the remediation of Clandestine Methamphetamine sites.